US futures are pointing to a lower open today after ending in red on Tuesday. Investors remained concerned on the global trade war concerns and higher regulation on the technology sector, ahead of the GDP and a speech by a Federal Reserve official. 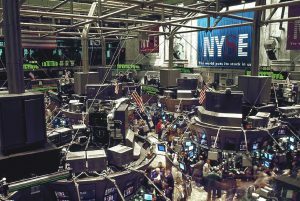 The S&P futures declined 0.25% to 2,609.25, Dow futures slid 0.01% to 23,856, and Nasdaq fell 1.03% to 6,493.75. Elsewhere, shares at Asian markets closed mostly lower on Wednesday, and European stocks are trading in the red. On the European economic front, data from Istat showed that industrial orders in Italy fell 4.5% on month in January after rising 4.6% in December. The Hungarian Central Statistical Office data revealed that Hungary’s jobless rate held steady in the February quarter at 3.8% and employment rate remained unchanged at 59.7%. INE data showed that Spain’s retail sales rose 1.9% on year in February after increasing 2.2% in January. Insee data revealed that France’s consumer sentiment remained stable at 100 in March. GfK data showed that German consumer confidence rose by 0.1 points to 10.9 in April. The distribution trades survey from the Confederation of British Industry revealed that retail sales in the United Kingdom are expected to recover in April and predicts household incomes to slow in the months ahead. On the Asian economic front, a survey from the ANZ Bank revealed that activity outlook in New Zealand improved to 21.8 in March from 20.4 in February, while business confidence index fell to -20 from -19 last month. The Bank of Korea data showed that South Korea’s GDP rose 0.2% on quarter in the fourth quarter of 2017, after increasing 1.4% in the third quarter. Thailand’s central bank left the benchmark lending rate unchanged at 1.50% while raising estimates for economic growth and exports this year. 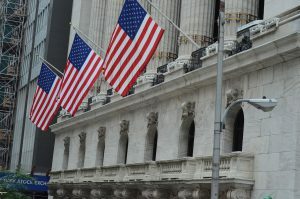 On March 27, US ended lower, with Dow down 1.43% to 23,857.71. Nasdaq plunged 2.93% to 7,008.81, and S&P 500 dropped 1.73% to 2,612.62. Lingering trade war concerns and a steep fall in technology stocks dragged markets lower. Facebook (FB) chief Mark Zuckerberg’s plan to testify before the Congress in the wake of the Cambridge Analytica scandal also added concerns to the traders. Meanwhile, key economic events scheduled for today include mortgage applications, third reading of GDP, goods trade balance, real consumer spending, pending home sales, and Energy Information Agency’s crude oil inventory. Atlanta Fed president Raphael Bostic will deliver a speech at The Buckhead Club in Atlanta. On the corporate front, Tesla (TSLA) stock slid 1.62% in the premarket after the National Transportation Safety Board announced that it is investigating the fatal crash of a Tesla car in California last week. Shire Plc (SHPG) stock climbed 17.93% in premarket after Japanese company Takeda is planning a takeover bid. Nvidia Corp. (NVDA) stock rose 1.05% in premarket after the halting of autonomous car tests over the recent Uber mishap. Walgreens Boots Alliance (WBA) stock grew 2.41% in premarket after better-than-expected second-quarter. Shire Plc (SHPG) stock climbed 17.93% in premarket after Japanese company Takeda is planning a takeover bid. On the earnings front, the key companies reporting earnings today include BlackBerry (BB), UniFirst Corp. (UNF), Oxford Industries (OXM), GameStop (GME), Progress Software (PRGS) and PVH Corp. (PVH). Crude oil futures is down 0.66% to $64.82. Gold is trading down 0.45% to $1,335.90, and silver is down 0.58% to $16.44. On the currency front, the US dollar is trading up 0.78% at 106.185 yen. Against the euro, the dollar is down 0.04% to $1.2398. Against the pound, the dollar is down 0.06% to $1.4153.